QAPCO – Qatar Petrochemical Company, one of the world’s largest and most successful producers of low-density polyethylene (LDPE) joins the Skillman.eu network. 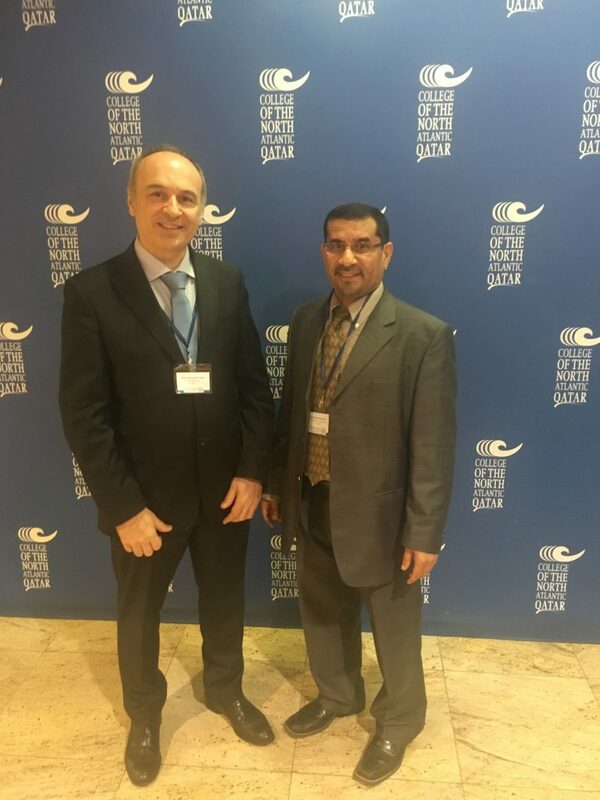 Dr. Mabrouk Ouederni, Product Development & Innovation Manager met Giovanni Crisonà, Director of CSCS and partner of the Skillman.eu network in the TVET international experts meeting held in Doha (Qtar) the last 17-19 April 2018. QAPCO has all the requirements to be a relevant member of the Skillman.eu Consortium, the worldwide network launched in 2015 with the European Commission support and addressed to introduce skills, competences and innovative curricula for the advanced manufacturing sector within the TVET pathways. Actually the technological know how of QAPCO and its expertise in the raw materials production will be extremely important in the identification of the skill needs in the 3d printing sector, one of the fields currently promoted by the network. The participation in the network will provide to QAPCO the opportunity to access new project partnerships at the next international calls and improve the training pathways addressed to the workforce of the low-density polyethylene (LDPE) production. QAPCO and the Skillman.eu network will explore common interests in the area of skills and training, as well as in advanced manufacturing and value addition to the materials currently produced by the company in Qatar and elsewhere.